Specialised brand of data communications for industrial applications. INSYS iCOM is a German company with more than 20 years of experience in the market of data communication systems and M2M - Machine to Machine technologies, applicable in various industrial sectors. The brand actively participates in the continued development of industrial communication technologies, which are revolutionising the world economy. With the creation of communication links between machines and systems, the issues associated with the obstacles created by physical distances have become completely outdated. Regardless of whether the sender and receiver are located in proximity or far across continents, communication can be established, enabling rapid access to data. INSYS iCOM's portfolio of products enables you to reduce costs and increase productivity, especially in remote control, service and maintenance applications. The range of products of the brand includes: simple series modems, routers for mobile networks, control equipment for electric vehicle charging systems and energy efficiency solutions. M2M and IoT routers are communication interfaces for the establishment of data traffic networks between machines, factories or other devices. These devices enable professional IP routing, provide the highest possible IT security and offer user-friendly control interfaces via the web, as well as a more efficient Linux-based operating system. Internal IT security: VPN, dynamic firewall, etc. 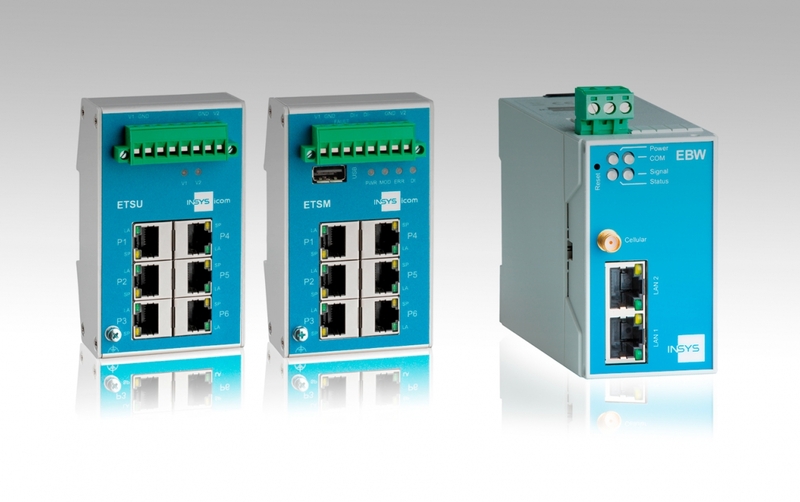 Switches are important elements in connecting information technology infrastructures. INSYS iCOM offers rugged, compact models with a good price/performance relationship. The user-friendly interface and the ease of handling, as well as the temperature range (-40°C to +70°C) that they support, distinguish this equipment from all others on the market. Discover the switch models made available by the brand here. 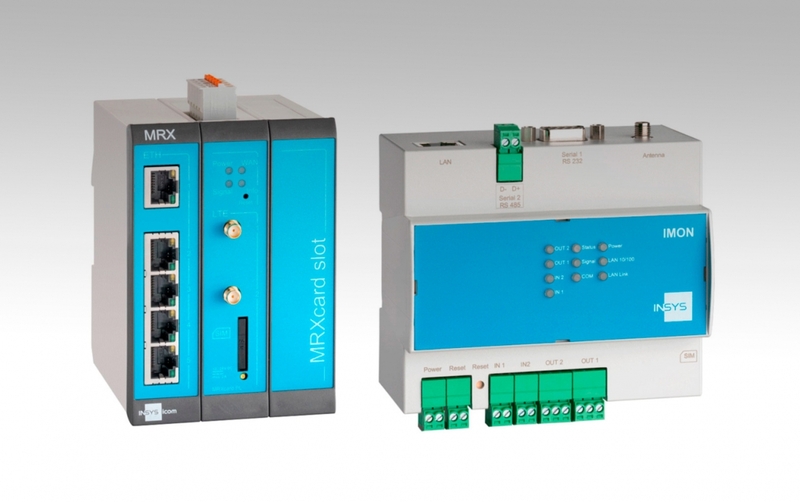 Modems are pioneering devices in data communication and because of their vast applicability worldwide, they continue to be part of the day-to-day in industrial communication. INSYS iCOM offers PSTN, ADSL and GSM modems. Gateways and bridges are important elements in reinforcing industrial communications. INSYS iCOM provides these devices for LAN, GPRS and SDSL networks. Communication equipment for the charging systems of electric vehicles. Communication between the electric vehicle and the charging station according to the ISO15118 standard.